Growing up in a modest middle class family in the eighties, one had to pay a price for enjoying the little pleasures of life such as holding a new book every academic season. Having an elder brother in the same school with a common Board made matters even worse. Every year my brother’s text books used to get handed over to me like a legacy - battered, bruised and, more often than not, dog-eared. On such occasions, the local book-binder became my best friend in giving a new lease of life to the text books. And that’s precisely why, it pains me today to see the profession of book-binding becoming a forgotten art with the world going digital. 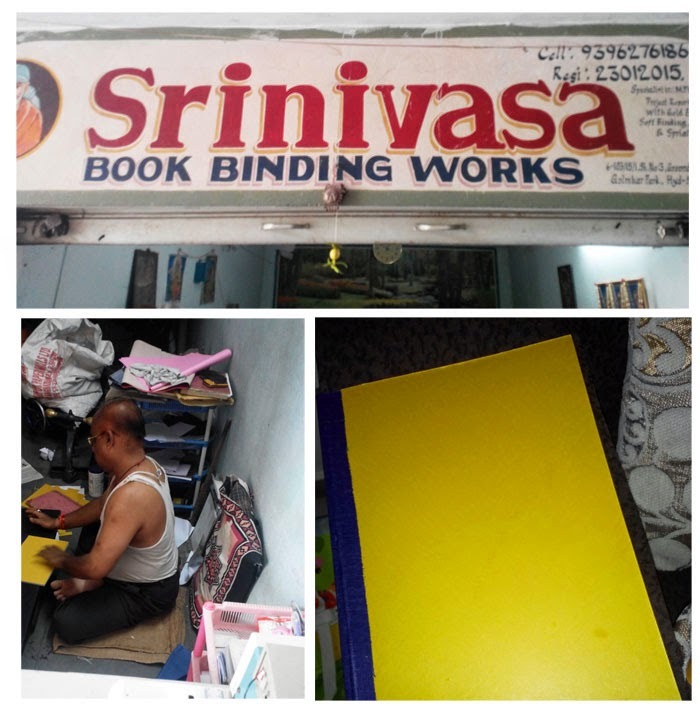 Srinivas, my preferred book-binder who has a shop near Gulmohar Park in Hyderabad, while safeguarding the life of my book, today had some startling confessions to make. At 47, he says, he has no option but to stick to the profession which barely manages to support his life - a family of four to feed and the combined rent of 10K for his home and the shop. Srinivas has been working since 1982 and has seen the profession through its highs and lows. I didn’t think twice before giving him the 50 rupees he asked me for his quality work and will continue to trust him for the “second innings” he gives to my books, and notebooks. However, I hope, his life gets a glorious “second innings” too. LHPS Plumbing - Plumber Bromley are the experts to name for a wide range of home and commercial plumbing services to Croydon and the surrounding area, including CCTV drain inspections, installation of rainwater tanks, blocked drains and fuel service repairs. In case you are trying to discover a plumber from a good plumbing firm in an emergency, you will be glad to know that we now have a 24 hr plumbing staff for emergency plumbing services in Croydon, defending plumber croydon the complete of the Croydon Borough and surrounding areas.